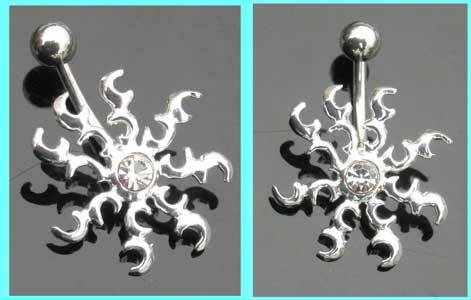 Featuring a large tribal sun design which is set with a clear stone, these sterling silver belly bars have a 10mm surgical steel bar. Powered by ShopFactory to sell P12140 online. All-in one eCommerce and online shopping cart software.